Lots and LandLot / Vacant Land Search in Northwest Arkansas. Looking for land to develop or just a lot to build your dream home on in Northwest Arkansas. Lot / Vacant Land Search in Northwest Arkansas. 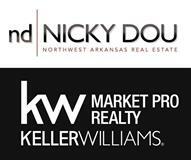 Looking for land to develop or just a lot to build your dream home on in Northwest Arkansas.